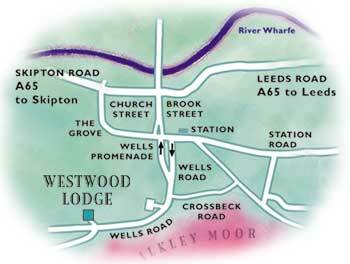 Westwood is convenient to get to by road, rail and air. Leeds and Bradford are only about half-an-hour away, as are the A1, M1, M62 and M65 motorways. There are frequent and regular (four trains each way per hour) modern electric train services throughout the day to Leeds and Bradford. These connect into East Coast Main Line, Cross Country and Northern/Trans Pennine trains to London, York, Edinburgh, Manchester (including the Airport) and most major cities across the country. Leeds-Bradford International Airport is only a 15 minute taxi ride away. It enjoys regular scheduled services to numerous UK and European destinations.